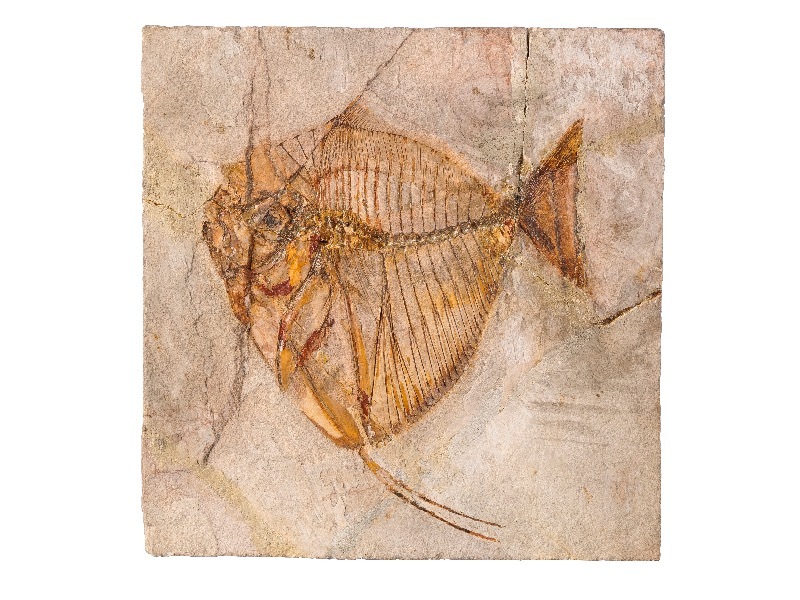 Fossils from all over the world are on display in this part of the Museum, including plants, molluscs and fish from Europe preserved in spectacular detail, and mammals from the United States. British fossils include molluscs, crabs, fish, crocodiles and turtles from rocks such as the London Clay and Headon Hill. 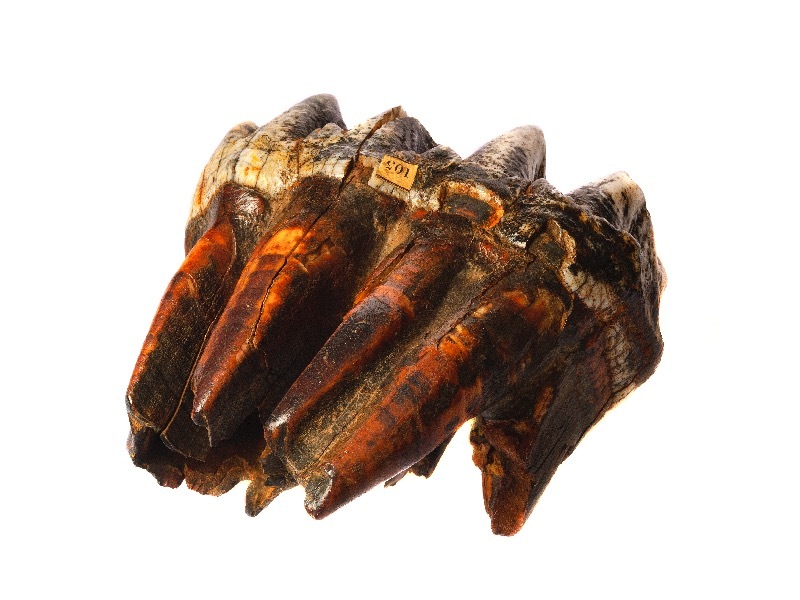 Another area called The Red Crag, exposed on the Suffolk coast, is a rich source of more recent fossils, including a wealth of fish and whale remains such as giant fossil shark teeth and whale ear bones. Also on display are some beautifully preserved fossil shells that look almost as if they were formed yesterday rather than millions of years ago. Apart from the sharks and rays, which are cartilaginous, most modern fish, such as the familiar salmon, cod and goldfish are bony teleosts, characterized by their thin and flexible body scales. Teleosts, such as Mene, illustrated here, form the largest group of vertebrates with more than 26,000 living species, which have evolved since Triassic times. The mastodons of North and South America are an extinct group of elephant relatives, which evolved in Late Miocene times and died out at the end of the Plistocene, probably as a result of both climate change and overhunting by the first human occupants of the Americas. The most common fossil remains of these elephant-sized, forest-dwelling animals are their massive teeth with cone-shaped cusps.